The pole position went to Team Badass (1'12,14") with lászló and Patrick behind the wheel of the No. 88 FXR GT1. 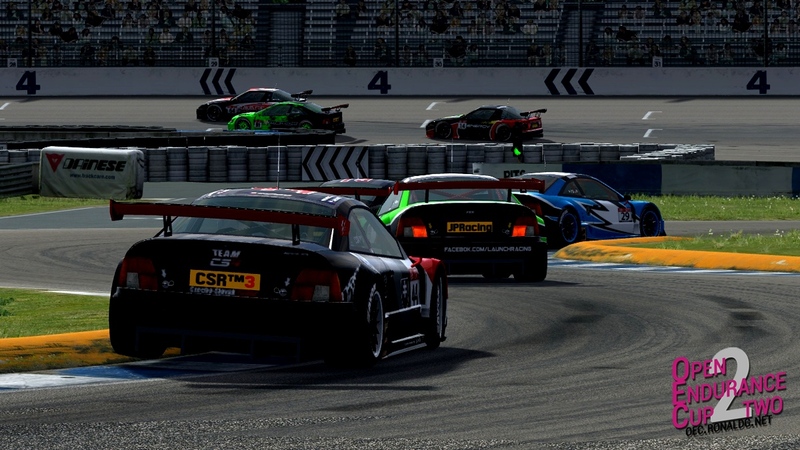 In GT2 Heroes of Racing driver jueweb started from the first (1'17,15") spot, racing a solo effort. However standing on the starting line-up he was not able to see other cars on the grid and had to restart Live for Speed, thus loosing a lap to then leader eXtrem Racing #2. Their sister team, eXtrem Racing #1, was the sole NGT entry (1'21,80") and both cars would be driven by eX.R Blacky at some point during the race with eX.R mathi co-driving the GT2 FZR entry and OEC1 champion eX.R Ascona b sharing the NGT entry. The start of the race was calm, due to the single-file race start after a formation lap and the pole sitters could build a 10" gap to Mango Racing when they entered the pits for the first time at the one-hour mark. Their rivals however were stretching the first two stints out giving them the advantage of a shorter second pitstop. This would eventually only tighten the gap but not close them. Third place was only battled for two laps after a drive-through penalty threw Energy Pro Racing behind Sonicrealms Racing. When the Brazilian FZR overtook the FXR in the first turn of the Rockingham Oval, Sonicrealms Racing's riddick, tried a desperate comeback, outbraked himself and hit the other car into the hairpin leading into the infield. He would later serve a drive-through penalty finishing in fifth. In the GT2 category eXtrem Racing #2 lost their lead in the second pitstop to TehoGp and jueweb, who returned to the lead lap. For the latter, two tyre punctures prooved to be too much for the race win and the "beer can" FXR finished 7,06” behind the only FZR in GT2, while TehoGp eventually lost a lap in an unlucky final hour. The fourth GT2 entered half-way through the race, finishing the race 59 laps down (to the GT2 winner) and just making the cut to get points for their effort. 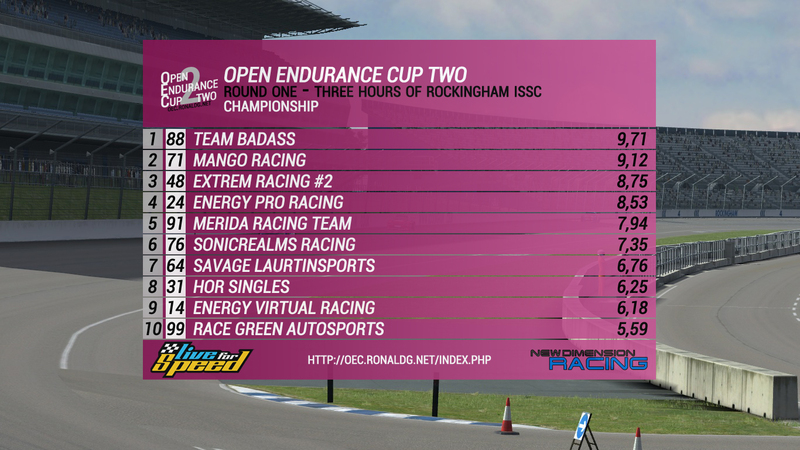 eXtrem Racing #1 finished the race after 128 laps, receiving 5,00 points for finishing the race, alone in its class. The next race will be the 250 Miles of Blackwood Grand Prix reversed on 3 Apr 2016. For more information visit the website, the Facebook page or the subsection.